OAKLAND, Calif. (KGO) -- The Golden State Warriors announced Thursday that Head Coach Steve Kerr, who underwent surgery on his back to repair a ruptured disc in late July and a follow-up surgery in early September, will take a leave of absence from the team as he continues with rehabilitation and the recovery process. 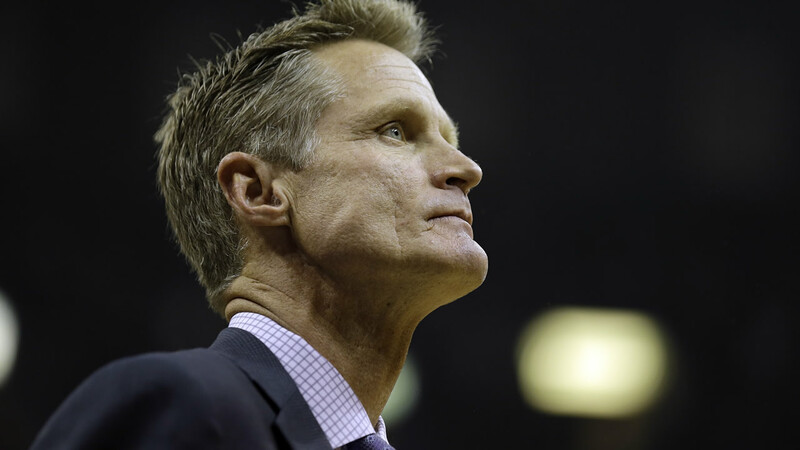 The length of Kerr's absence is unknown and will be based on his progress. "At this point, the most important thing is to make sure Steve is healthy, completely recovered and ready for not only the rigors of a long NBA season, but day-to-day life in general," Warriors General Manager Bob Myers said. "We don't anticipate the recovery process will be long term, but as of today we don't know the exact time frame. We'll evaluate his progress daily and provide updates as necessary." "After the first two days of training camp, I realized I need to take a step back and focus on my rehabilitation in order to be ready for the grind of another NBA season," Kerr said. "As I noted last week, my summer was difficult and no fun due to the multiple back surgeries. At this point, I simply want to get healthy and back to my normal daily routine on and off the court." Luke Walton, the team's lead assistant coach, will serve as interim head coach in Kerr's absence.